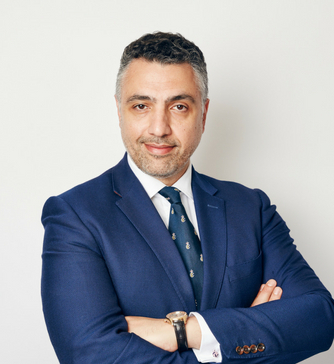 Mr Barry Paraskeva is a Consultant General, Laparoscopic and Colo-rectal surgeon at St Mary's Hospital in London and a Reader in Surgery at Imperial College, London. He graduated from St Mary's Hospital Medical School in 1994 with honours and went on to train in general and colorectal surgery in the North Thames area. His main interests are in elective and emergency general and particularly laparoscopic surgery, including diagnostic laparoscopy, laparoscopic appendicectomy, laparoscopic hernia repair, laparoscopic cholecystectomy and laparoscopic colo-rectal resections for benign and malignant disease. Recently he has pioneered single port laparoscopic surgery/ single incision laparoscopic surgery which is virtually scarless surgery, and was the first surgeon in the UK to remove the appendix and gallbladder in this way. He also has an interest in both benign and malignant colorectal disorders He has also trained at St Mark’s Hospital as a Fellow, where he specialised in colorectal conditions. Mr Paraskeva has trained and is now a consultant in the Prestigious Academic Surgical Unit at St Mary’s Hospital which is a world renowned centre of excellence in minimally invasive techniques and laparoscopic surgery. He also participates in research and education into improvements in surgical skills and techniques. He is a convenor and tutor of skills courses in basic and laparoscopic skills for the Royal College of Surgeons of England and lectures in all aspects of general surgery at Imperial College and externally. Mr Paraskeva is a keen educator and respected lecturer in surgery and is interested in providing educational seminars and discussion groups on aspects for surgical care and laparoscopic surgery.